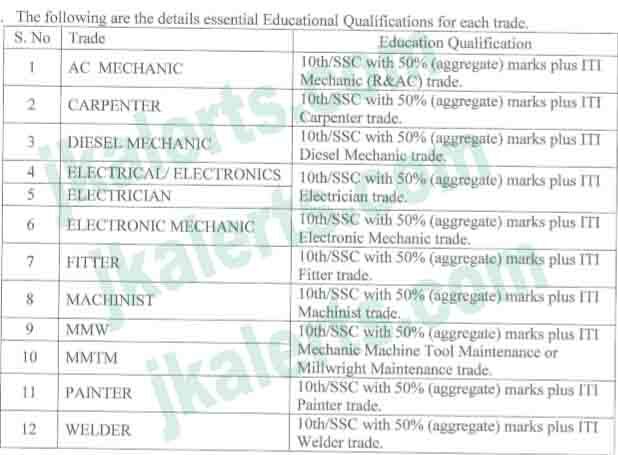 Railway Jobs Recruitment 2018 4103 Posts for Apprentice. 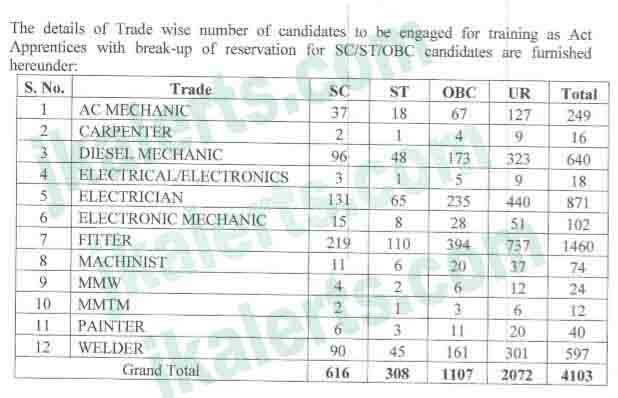 Indian Railways is going to recruit fresher Indian candidates for 4103 vacant posts in South Central Railway department. You can pay through the Demand Draft from any Nationalized Bank or through the Indian Postal Order. The draft should be drawn in favor of Assistant Personnel Officer (Recruitment), Railway Recruitment Cell, Secunderabad – 500 025 payable at Hyderabad or Secunderabad. To the office of The Deputy Chief Personnel Officer/ A& R/SCR, RRC, 1st Floor, C-Block, Rail Nilayam, Secunderabad- 500 025, on or before 17 Jul 2018, along with self-attested photocopies of the relevant certificate.